The USA can feel like a safe bastion with oceans on either side that’s far from basket-case nations filled with terror and war. But if you read anything about Mexico this year, read Williams Finnegan’s story in the New Yorker called The Kingpins. His story is very powerful and very sad as it focuses on what’s happening to the Mexican city of Guadalajara. But it’s not just there, it’s all over Mexico that violent criminal militias are turning the place into a frightening, lawless country. 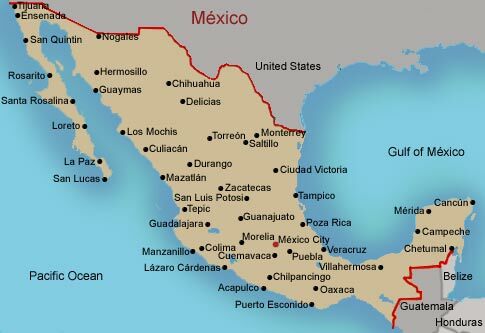 Stories of dozens of dismembered or beheaded corpses being dumped in piles to send messages of terror are happening in Guadalajara, Monterrey, Puerta Vallarta, and so on. Tijuana is only 20 miles from my front door but I haven’t been there in years. You can imagine why. The article talks about how authorities cannot be trusted to tell anything but lies and half lies. Every seeming truth is merely a pantalla, a screen to hide the real agenda of people in the employ of warlords who profit from drugs, kidnapping, and above all terror. The USA has spent its time worrying about events and governments thousands of miles away in the Middle East and Central Asia. But I wonder when the focus of our armed foreign policy will be the failed state to the south, where authority and government are empty shells and large crime syndicates are just as powerful and destabilizing as the Taliban. The saddest comment may have been one from a man who spoke of how peace may only come when El Chapo, the leader of the Sinaloa Cartel, can take over the country. After reading the article, I pray for Mexico and hope something will save it. This entry was posted on June 28, 2012 at 4:34 am and is filed under Uncategorized. You can subscribe via RSS 2.0 feed to this post's comments. You can comment below, or link to this permanent URL from your own site.